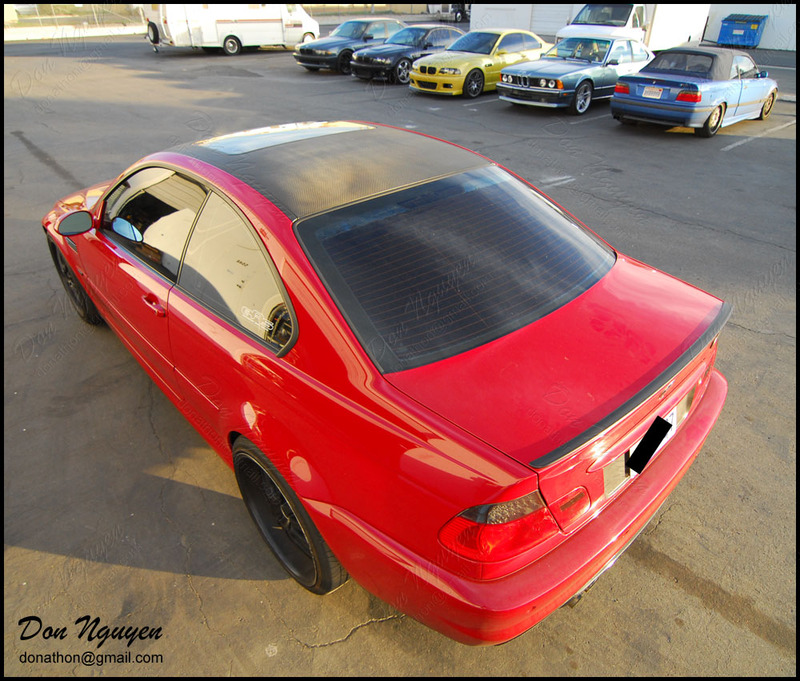 Here is an imola red BMW E46 M3 that had me vinyl wrap his roof with the 3M 1080 gloss carbon fiber material. I tried to take more pictures to try and help show the differences between carbon fiber weaves in the 3M 1080 vs the 3M di-noc material. 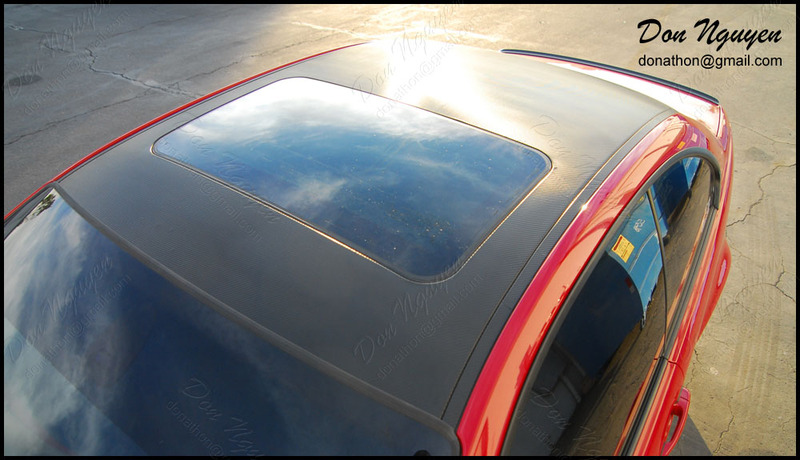 I believe the owner of this car was from San Diego and came up to me in Orange County to have the vinyl work done. The weave in the 1080 material is a lot smaller/finer, and due to the nature of the material, it comes out wavier than the dinoc material.